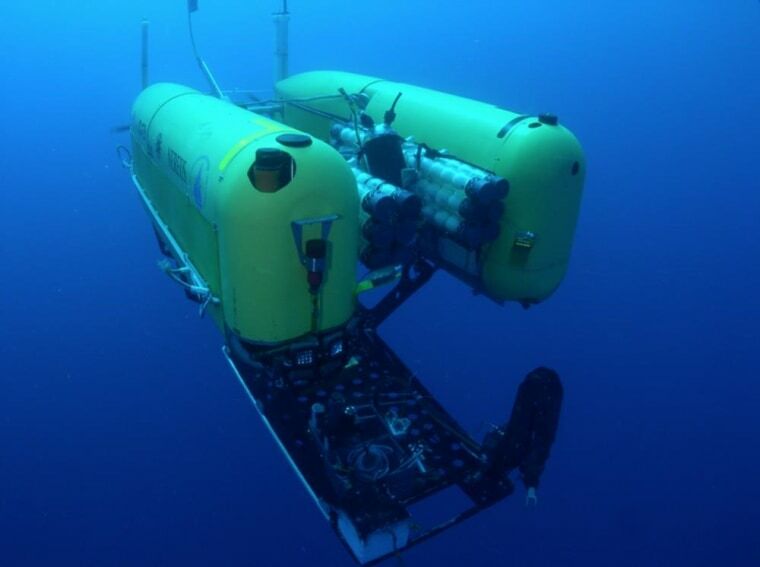 A hybrid remotely operated vehicle (ROV) dubbed Nereus was lost while diving 6.2 miles (10 km) beneath the sea surface in a deep trench northeast of New Zealand on Saturday (May 10), representatives for the Woods Hole Oceanographic Institution have confirmed. The Kermadec Trench is the world's second-deepest trench, plunging 32,963 feet (10,047 meters) below the sea surface, second only to the Mariana Trench, which reaches 36,201 feet (11,034 m) beneath the surface of the Pacific Ocean. At 2 p.m. local time Saturday (10 p.m. Friday ET), about seven hours into a planned nine-hour dive to the deepest part of the Kermadec Trench, researchers aboard the Thompson lost contact with the ROV. The researchers spotted floating debris, which was later identified as part of Nereus, suggesting the vehicle had imploded, said representatives for the Woods Hole Oceanographic Institution (WHOI) in Massachusetts, where the vehicle was designed and built in 2008. The ship's crew is collecting the debris to confirm its identity and hopefully reveal information about the implosion. Extreme exploration of this kind is never without risk, and the unfortunate loss of Nereus only underscores the difficulty of working at such immense depths and pressures," said Larry Madin, director of research at WHOI. "Fortunately, there was no human injury as a consequence of this loss." The current expedition aimed to collect images and samples of unusual sea life that can survive the eye-popping pressures of the Kermadec Trench. The trench runs northeast from the North Island of New Zealand to the Louisville Seamount Chain and was formed by a process called subduction, in which the Pacific (tectonic) Plate dives beneath the Indo-Australian Plate. This isn't Nereus' first gig, either. The ROV is one of just four submersibles ever to reach the ocean's deepest spot within the Mariana Trench, and had also explored the world's deepest known hydrothermal vents in the Caribbean Sea. "Nereus helped us explore places we've never seen before and ask questions we never thought to ask," said Timothy Shank, a biologist at WHOI. "It was a one-of-a-kind vehicle that even during its brief life, brought us amazing insights into the unexplored deep ocean, addressing some of the most fundamental scientific problems of our time about life on Earth." The Kermadec Trench runs northeast from New Zealand's North Island to the Louisville Seamount Chain. It is the second-deepest oceanic trench in the world and formed by subduction, a geophysical process in which the Pacific Plate is pushed beneath the Indo-Australian Plate. Funding for the $8 million Nereus project came from the National Science Foundation, the Office of Naval Research, the National Oceanic and Atmospheric Administration, the Russell Family Foundation and WHOI. Follow Jeanna Bryner on Twitter and Google+. Follow Live Science on Twitter,Facebook & Google+. Original article on Live Science.